You might assume that a restaurant named Don Pisto’s in North Beach is another red-checkered tablecloth establishment dishing out mediocre penne à la vodka and garlic knots. The Don! But you would be wrong: the Don of Don Pisto’s is a señor, and he is throwing a fiesta we regularly and enthusiastically attend. As for food? Oh, the tacos. These things are good - and the rest of the menu is as well. 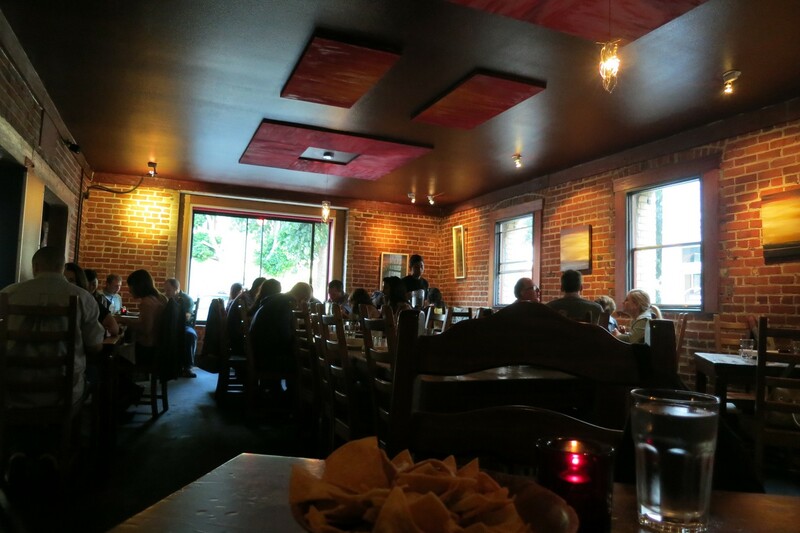 We recommend starting with tacos and seafood starters, and following up with the pollo asado. If you’re going for a more casual situation, you can hit up the sister taco shop Pisto’s down the block, where the emphasis is more street-food/to-go. Either way you can’t lose. Chips are hearty and home-made. We’re fans. The guacamole is basically just a mashed up avocado that spices, onions and cilantro forgot. We too, have two thumbs and access to mashing instruments. The salsa, on the other hand, is killer. Also chips and salsa are free. What is the world we live in where this is a point of note? Not a world we want to live in, so thank you DP for fighting the good fight. This is a big, pretty plate of salmon, nicely garnished and super-fresh. Not super Mexican but super good. Grilled with a nice citrus tang. They don’t scrimp on the tentacle pieces, so if that’s your jam, this is for you. A lot of people call this dude incredible. It’s fine. It’s a hamburger wearing a guacamole toupee - with some bacon and onions in the mix. You’re at a Mexican restaurant, your digestive tract will accept non-burger sustenance for at least one meal. Promise. Al pastor, chicken and carnitas are A plus. The tortillas are so good you really can’t go wrong though. Bold statement: this is one of the best Mexican chicken dishes we’ve had. The drunken salsa is insane as are the corn tortillas. Don’t miss this. If you don’t think of Mexican when it comes to a mid-morning meal, it’s time to rethink that. Pork tamales that involve poached eggs are a breakfast revolution. Join the cause. Huevos rancheros are another stand-out. Wash it all down with the bottomless not-too-sweet sangria and you’re good to go. Adios.